Search engine optimization is extremely important to any blogger trying to build a name for themselves online. You could even say it is a communication technique between humans and search engine bots. 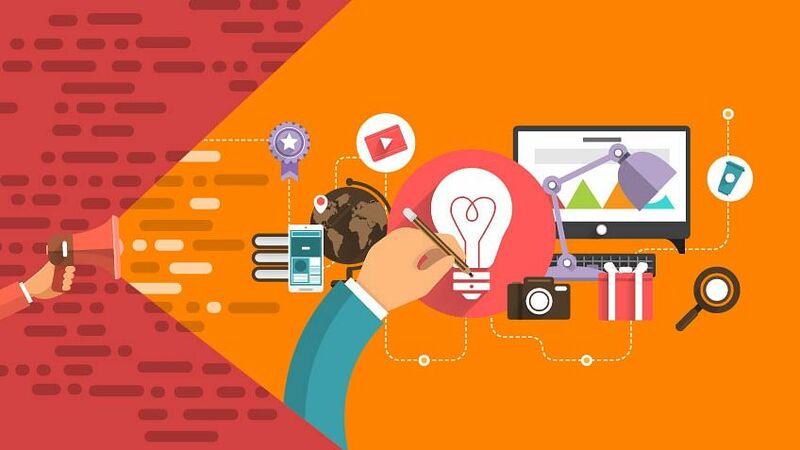 SEO experts have spent years perfecting their techniques and dominate this field. To many, entering this field seems like a daunting task, but with the right SEO course and plenty of hard work, it’s actually a breeze. Here are some tricks of the trade to help you make your mark in the field of blogging. Infographics are visual representations of your blog. According to the Social Engine Journal, 90% of information transmitted in your brain is visual. Because of this, people absorb visual information faster than other modes. Infographics work because they bring more exposure to your website. According to the website, Top Marketing Schools, an infographic has the potential to reach 15 million people. When used correctly, this could mean a huge chunk of backlinks for your website. There are tips to keep in mind when creating impressionable infographics. You don’t want your infographic to be just another wallflower. Don’t be afraid to include humor – An unexpected twist of humor in your content can make the information more memorable. Brownie points to you if you can make an interactive infographic. They are a novel idea and people are more drawn to things they can play with! Few people understand the importance of social media in marketing and even fewer are aware of the right way to use it. Social media has tons of uses. Not only does it help you put your article out there, it also brings you closer to your audience and find out their likes and dislikes. When used correctly, social media can shape the way you write and increase the number of people who read your articles. Mere words cannot be used to stress on the importance of user research. As a blogger, you want (need) to promote your blog, whatever the topic. But your audience is key. If you can’t get your audience’s attention, then your blog is of no use. Keep your audience’s goal in mind. Value their time. When they read an article, they do so because they plan to learn something useful from it. Sites like Google Trends and Moz Keyword Explorer are great for keyword research. With google trends, you can identify topics related to your niche that are being talked about on the internet. Once you determine the topics, use Moz’s Keywords Explorer to optimize your article’s SEO value. Most people shy away from doing a complete SEO audit on their website. SEO experts believe it is time-consuming and don’t attempt it unless their SERP ranking falls drastically. With tools like ScreamingFrog and Moz Site Crawl Tester, running off-page optimization tests take literally a matter of seconds. These tools can identify crawl errors or errors that stop your pages from being accessed by google bots properly. Once identified, you can get to fixing them before Google penalizes you for it. Apart from off-page optimization, you should also look at on-page optimization audits. These include factors like URL lengths, keywords optimization, content length and content relevancy. We find SEMRush audit list comprehensive and a great help to our auditing efforts. Landing pages are essentially gateways to your website. They are links from any source (other blog, an article or even google) that leads people into your website. Landing pages are important to your blog because they add layers to it and lends an air of credibility. Landing pages are representative of your commitment and effort into your blog. They also offer less distractibility to your audiences, so they are more likely to click on your page’s CTA and convert than if they would if they had to navigate several pages. More Interactive – Use testimonials and reviews on your landing page. Make your customer care details visible so potential buyers are assured. Encourage your readers to interact with you on your page. This makes your blog seem more human. Proper Structure – This is probably the most important point. Information should be structured and clear. Place important points at the top so they aren’t missed out and place your CTA button in bold colors in visible areas. Doing this will do wonders for your conversion rates. Your blog’s ranking counts on not just your popular pages but also your unpopular ones. While your best-performing articles may put your site on the map, the ones that are buried are bringing your ranking down. So how do you improve the views for the older articles you have written? Step 1: Look through your older, not-great articles and see how you can improve them. Step 2(b): If you don’t want to add contextual links, then offers targeting recommendations at the bottom of your page. Think about Amazon – you go in to buy a baseball bat and you see a list of things that you may like based on your past purchases. This is the same deal. You can retarget your readers into reading your older articles if they have read similar articles. Step 3: Sit back and watch your ranking grow. When you offer relevant recommendations – More people spend more reading on your website, which raises your site’s ranking. Additionally, your website also benefits because each individual article is now getting ranked higher on the SERP. The points presented here just scratch the surface of SEO. Play around and see what works for you. Remember though, SEO can only work if you have quality content that backs it.